Last month I took a trip to the Barstow area with a group of people, and we drove down a dirt, where I ended up getting a flat tire. I live in Orange County, CA – that’s over 100 miles away from me. And it was Sunday. So my tire repair shop options were limited. One of the only places open was “Frankie Tires”. I ended up buying four new tires. Once I got back to the freeway and out of traffic, I was 20+ minutes away and there was a noticeable ‘bouncing’ that I had never experienced before, but I thought the ‘bouncing’ was just the poor roads out there. Until I figured out that it wasn’t. Fast-forward to getting back home to Orange, CA. I finally decided that I needed to pay AGAIN to get the wheels balanced. I called several shops in my area and many places want $20+ per wheel. Then I called Becker Tire in Orange, on Tustin Ave. They said it would be just $10, which is much more reasonable, considering the work involved in balancing a wheel. 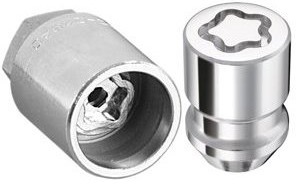 Now, since the lug nut locks are numerous in design, it’s unlikely that Becker (or anyone) would have them. So, for the moment, I Becker Tire couldn’t help me, as they couldn’t take the wheels off. UGH! They were nice and helpful, but I was frustrated that I’d have to now figure out how to get the stupid locking lug bolts off! Well today, I went back to Becker tire – with a lug nut lock key (AND four new lug bolts I got at O’Reilly Auto Parts,) – and Becker made quick work of balancing all four of the wheels. Yes – ALL FOUR were out of balance! Ultimately, they charged me less than I expected and Rusty, the manager, was again friendly and helpful. They might end up being ‘my local shop’ for future work on my Jetta and some stuff on the DeLorean too. 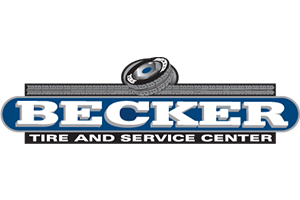 In short – support Becker Tire in Orange. They did a good job, were friendly and I think they’ll give you good service too.